‘Racing Through the Ages’, a collection commissioned through McLaren Special Operations (MSO) by McLaren Beverly Hills, debuted December 11 in California, USA, during ‘An Evening with MSO’ event hosted by the retailer. 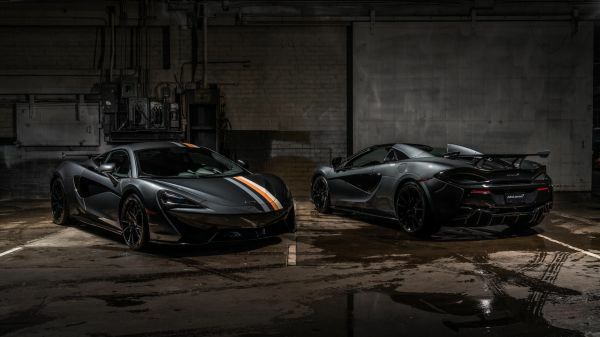 The collection, which commemorates McLaren’s racing heritage, features three distinct themes: Muriwai, which celebrates Bruce McLaren’s early racing exploits in New Zealand; Papaya Spark, which honours victories in orange throughout the 1960s and 70s and the continued use on modern McLaren Formula One cars; and Sarthe Grey, inspired by McLaren’s dominant Le Mans victory in 1995 – the only time a manufacturer has won Le Mans on its debut. 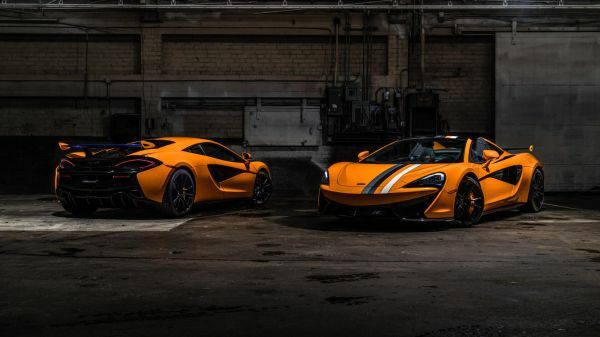 Each theme in the collection is represented by both a 570S Coupe and 570S Spider, for a total of six cars. Every car is fitted with an MSO-designed, retailer-fit rear wing and each features a GT4 racing stripe on the exterior hood and roof, complemented by a MSO Defined Black Pack, 10-Spoke Super-Lightweight Forged Wheels in Gloss Black and a MSO Defined Titanium SuperSports Exhaust. The interiors feature the GT4 stripe integrated into the backrest of the seat and the MSO logo stitched into the headrest, as well as a McLaren Orange 12 o’clock mark on the steering wheel. Each car also features a dedication plate stating, “1 of 6 – RACING THROUGH THE AGES” and comes with a key finished to match the paint on the car. The Muriwai theme is represented by MSO Defined Muriwai White exterior paint, a colour inspired by the white and blue waves crashing on Muriwai Beach, New Zealand, where Bruce McLaren competed in his first race at the age of 15. Muriwai was also the name of the house he later built in Woking, which he painted white with blue shutters. The color extends to the endplates of the fixed rear wing, which also feature the “Speedy Kiwi” logo in McLaren Orange. The Papaya Spark theme is represented by MSO Defined Papaya Spark exterior paint, which is an evolution of the papaya colour Bruce McLaren chose for his racing cars in the 1960s and 1970s. Major successes across Can-Am, Indy500 and Formula One were achieved with cars in this colour. The fixed wing is finished in Burton Blue with Papaya Spark endplates, paying honour to the iconic blue spoilers featuring on the original racing cars. The Sarthe Grey theme celebrates McLaren’s dominant 1995 Le Mans victory, where the McLaren F1 GTR took first, third, fourth, fifth and thirteenth place. 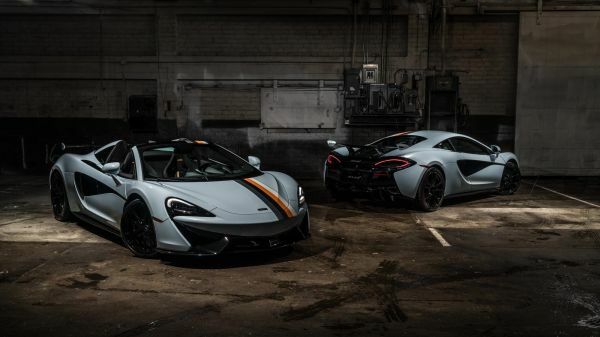 The cars are finished in MSO Defined Sarthe Grey, which emulates the colour of F1 GTR#01 and is named in honour of Le Mans’ Circuit de la Sarthe. The rear wing endplates are also finished in the paint, with “24 HEURES DU MANS – WINNERS 1995” in white lettering. Such commissions have helped McLaren Beverly Hills to be on track to become the number one retailer for McLaren Special Operations in the world in 2018.